PICZ is a community of photographers sharing our passion for photography. 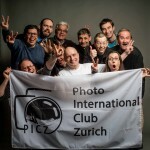 The english speaking club organizes photo activities in and around Zurich open to everybody interested in photography. Our goal is to promote and develop the practice of photography. Joining people from different countries and with different cultural background is one first step to reach this goal. PICZ promotes the practice of Photography through its activities (click on the image to see details). LABS AND STUDIO: We group our activities by LAB in order to cover different aspects of photography: Analog and Digital, Creativity (it is not only about technique!) and the social and networking part (we love to share, get together and speak about photography, gears, etc.!.. also just to meet and greet around a nice drink ;)) Each lab has a leader who keeps a certain level of attention to his aspect of photography. In the labs forums, you will find discussions, workshops and other activities. 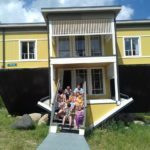 You can join one or several of the labs and start being informed or to participate but most of our exchanges happen during our monthly meetings. When members want to organise an activity, host a workshop or have any other idea the lab is here to help organising. COMPETITION: Regular competitions (quarterly) where participants have a chance to challenge their skills and creativity. In the competition menu, you will find more details about the current competition. You will also find the forum where to post your participation to the forum. Please note that non members of PICZ may be required a small payment to enter the competition. 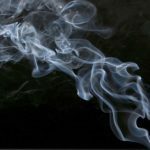 PROJECTS: Our members work together practice photography or show their work: exhibitions, trips, etc. Each project has a corresponding forum where members can work together and exchange opinions. EQUIPMENT SHARING: The Club is purchasing equipment that the members can use. We also promote the exchange of material between the members. 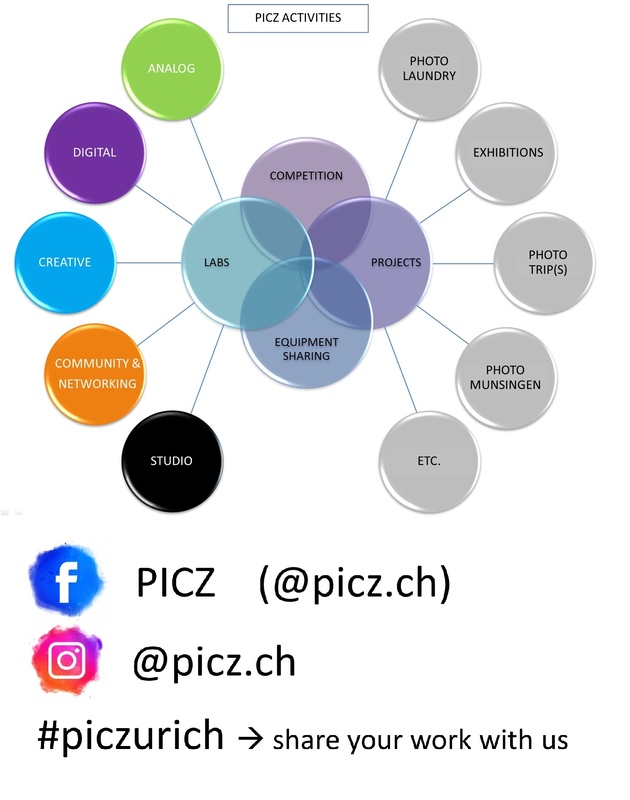 SOCIAL MEDIA: We are sharing content on Facebook and Instagram with the account @PICZ.ch. You can let us see your work by using the hashtag #piczurich or by tagging us on your pictures when the pictures were taken in our studio or during one of our events. Thank you to share our content and let people know about us and about our members !